The Latin sign for #50 is the letter L. To “take an L” is to suffer defeat: a loss, though, since this is borrowed from sports metaphors, continuing the fight is implied. “Half-a-man” is prison parlance for 50, too. Under the circumstances, this metaphor is woefully inadequate & apt at the same time. 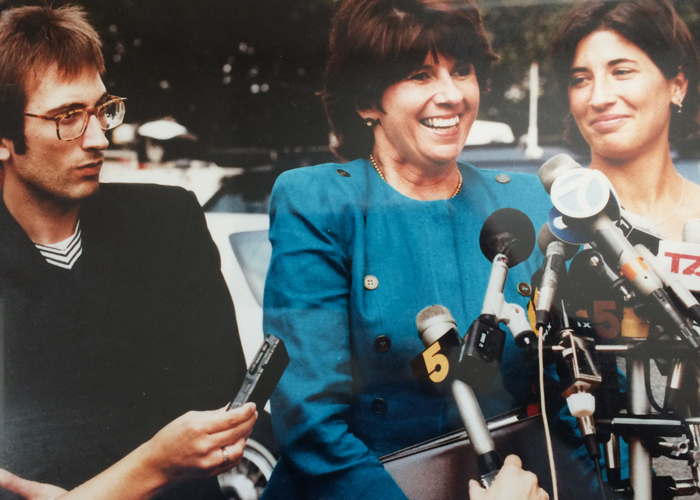 On April 9th, Judge Lawrence J. O’Toole – a man who once battled a DA over lying when representing a man on death row – imposed 50 years-to-life upon me for killing my best friend. I was neither shocked nor in disbelief that the number was so abominably high. Four total days of hearings, 10 postponements, & quite literally EVERYTHING done to weaken my mitigation case, had already winnowed the faint hope I had for Justice down to nothing. The ADA really was seeking LWOP, uniquely & specifically for me, but for once, my attorney’s facility with keeping me out of the informational loop paid off. The second I said I had never received notice, per BATTS II, LWOP was impossible. The ADA & team scrambled to find proof she’d sent me a letter. All she could muster was evidence she’d alerted my lawyer, which wasn’t the law. Yeah. The hearing was like THAT. Without editorial, here are the broad points. Day 1: 2/2/18 – Emotional testimony by 3 friends & 2 PADOC sergeants. One friend was told she was testifying just 48 hours before. The sergeants were told the Thursday week prior. No one was prepped & testimony spun out after only a few minutes, w/o meaningful questioning by my counsel. Cross-exam was a harbinger of things to come, as the ADA tried to establish that my friends weren’t “real” friends & that everything they knew about me came from me. And I am a liar. 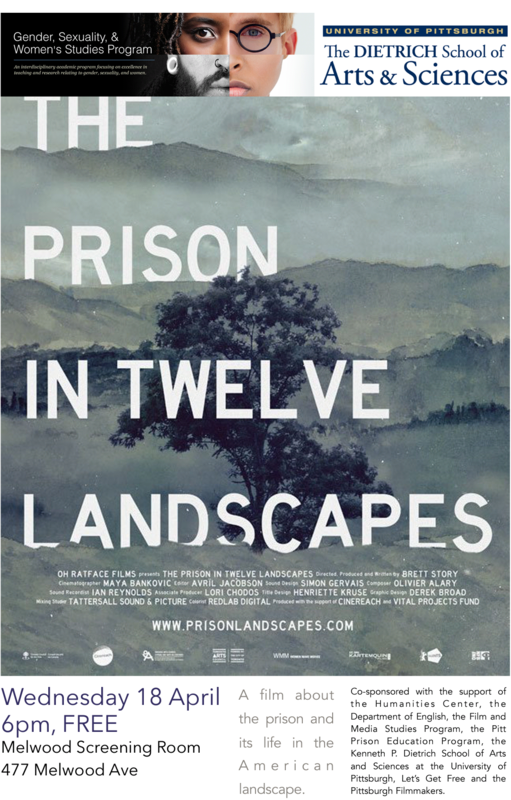 Join us for a free screening of Prison in 12 Landscapes on Wednesday April 18 at 6pm at the Melwood Screening Room – 477 Melwood Ave. Following the film showing, there will be a Q&A with the film’s director, who will be joined by members of Let’s Get Free and Coalition to Abolish Death by Incarceration. Immediately after the film showing and across the street, there will be a dance party where the fundraising for Let’s Get Free will continue. Join us for one or both events! Food and drinks will be available for sale at the dance party benefit. We are very excited to be participating in a criminal justice system focused Candidate Forum in advance of the PA state legislature primary on May 15. Please join us, especially if you live in one of the four districts that will be represented, to ensure that the critical issues facing our communities are acknowledged and addressed by our legislative representatives-to-be! We are seeking collaborators for Let’s Get Free’s next fundraiser. Letters and Liberation will show in July 2018 at Boom Concepts in Pittsburgh. We are seeking artists of any ilk to throw down for our cause. Last year’s Contraband fundraiser was SO SUCCESSFUL! We sold over 100 pieces of art!! launched a new program called Operation Break Bread. This program connects people in Pittsburgh with women and trans prisoners incarcerated at Cambridge Springs Prison. Cambridge Springs is 2 hours north of Pittsburgh. Since our first visit last June we linked 24 Pittsburghers with different people serving time. We try to go up at least once a month. You can read some of the visiting chronicles on our instagram page. Scroll down to see the visit pics most have a reddish background. The gas for these trips came from the Contraband Art Show! Thank you art buyers and auction participants!! 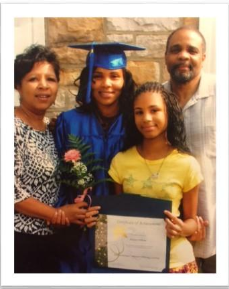 been able to attend the Coalition to Abolish Death by Incarceration’s statewide rallies, meetings with lawmakers, the juvenile lifer day at Muncy prison, hearings for ghani and saleem – two of our friends – ghani is home and saleem will be home SOON!! AND some us are heading to the statewide strategy meeting on Feb.3 in Philadelphia. That is a lot of gas, van rentals and tolls!! Thank you artists, especially Todd “Hyung-Rae” Tarselli and Justseeds!! Mail artwork to: Letters and Liberation c/o Lets Get Free, 460 Melwood Ave. #300 Pittsburgh, PA 15213- Please include title of piece and how you want to be recognized. Format: Any medium welcome. Painting, Sculpture, Knitting, Cross stitch, paper mache, drawing, poem, collage, origami, your medium of choice. Be encouraged to re- purpose letters that were sent to or from prison. Use an old letter as the base for a painting or drawing. Use letters to make paper mache. Use letters to make a paper cut or stencil. OR DON’T. Make what you make. It can be inspired by the theme or not. Also we would love any old artwork donations even if it doesn’t fit the theme. Theme or Concept: If you need some inspiration consider this: Can your artwork answer the sentence? Liberation is…. Do you want to collaborate with us? We are up for it! Artists who want letters: i am going out of town from March 5th to May 18. If you want letters before then please connect with me in February. I have thought about confidentiality of the letter writers. We can talk about that if you are interested in participating. To close out the first season of The FRONTLINE Dispatch, we have three stories about juvenile lifers. This first is the story of a violent crime committed by a juvenile lifer whose second chance went horribly wrong. It is an intensely personal documentary, but it carries far-reaching implications that extend into public life and into the heart of our political and correctional systems. This piece was produced by Samantha Broun and Jay Allison. It was originally made in 2016 for the public radio website, Transom.org. Listen to that version of the story here. We are presenting an update to a version that aired later that year on This American Life. We ❤ you Ghani, and hope to celebrate your freedom this September! There are so many behind bars who deserve a second chance at parole and commutation. Even after decades of incarceration, people are dreaming of contributing back to society and helping make things right. Support House Bill 135 in the Judiciary Committee so we can see more folks like Ghani get a second chance at parole! Below are pictures from Ghani’s Community Resentencing which happened on Sunday July 23 in Philadelphia organized by Coalition to Abolish Death by Incarceration (CADBI) and pictures of us the next day, Monday July 24th outside the JV court house during Ghani’s actual appeal hearing. Mama Patricia Vickers talking about Hope is as Weapon! Old comrades pose for a pic – Andy, etta and Theresa. This slideshow was created for the Contraband Art Show. It features women in prison who participated in the Women Lifer’s Resume Project. 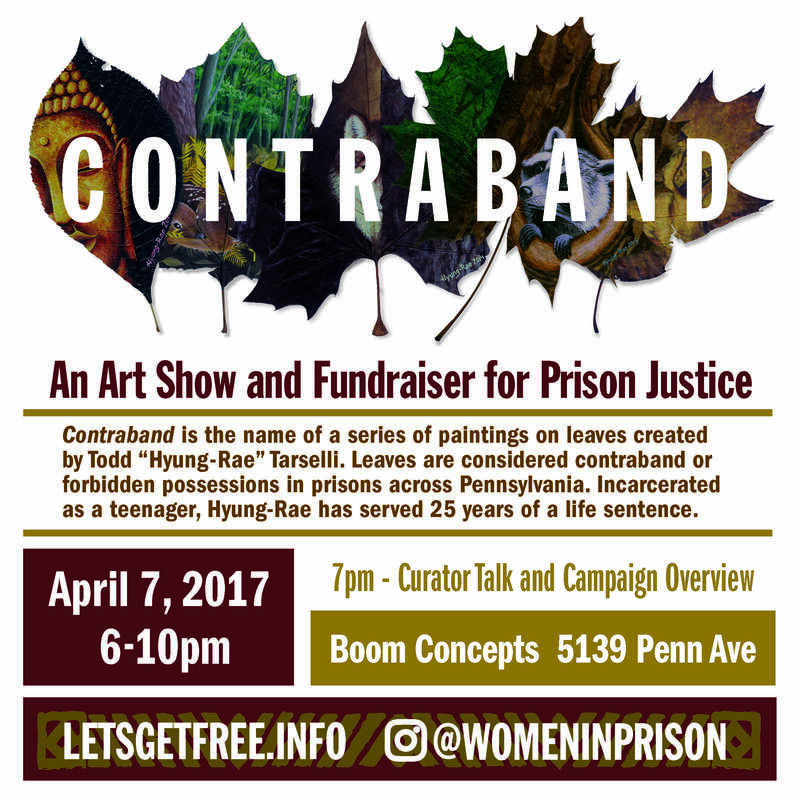 Contraband is the name of a series of paintings on leaves created by Todd “Hyung – Rae” Tarselli. Leaves are considered contraband or forbidden possessions in prisons across Pennsylvania. This show will feature 6 of these delicate leaf paintings illustrating detailed images of animals and nature. Incarcerated as a teenager, Hyung-Rae has served 25 years of a life sentence. At 7pm on Friday April 7th there will be speakers and songs including family members of people serving life, survivors of violence who support the campaign, readings from the writings of those sentenced to life as juveniles, and information on the Campaign to End Death by Incarceration. 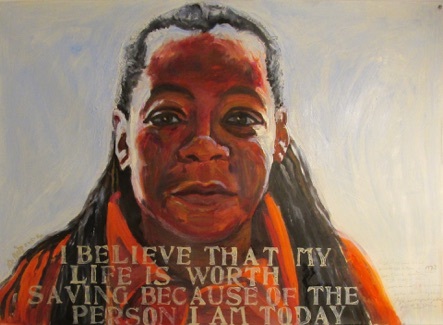 The exhibit will showcase artists from both sides of the prison walls including Mary Dewitt’s profoundly moving portraits of women serving life in PA. Illustrations describing prison conditions and self portraits by incarcerated artists from The Prison Poster Project (PPP) will also be displayed. The PPP was a collaboration between artists across the razor wire to create a teaching tool about the prison industrial complex. 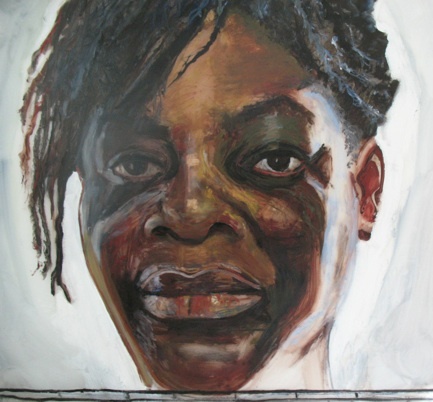 There is a special portrait of Ce Ce McDonald painted by political prisoner Marius Mason. Now released, CeCe gained national attention for defending herself from a racist and transphobic attack and was sentenced to 4 years. A life-size solitary confinement cell will also stand in the gallery, the walls of which are made from letters written from people incarcerated to Book ‘Em, Pittsburgh’s books to prisoner program. Projected on the walls of the cell will be a slideshow of women serving life presented by the Women Lifers Resume Project. There are approximately 200 women serving life; some were sentenced as teenagers and some were commuted from death and many are in their 4th decade of imprisonment. There are over 30 brilliant framed pieces of art for sale and still more unframed pieces. Outside artists include: Ginger Brooks Takahashi, Merideth Stern, Jim Kidd, Alisha Wormsley, Bec Young, Leslie Stem, Ellen Melchiondo, Josh Macphee, Shaun Slifer, KT Tierney and Vanessa Adams. These are just a few of the many brilliant artists that have donated pieces. Justseeds donated hundreds of dollars of lino cuts and screen prints by artists including: Jesus Barraza, Fernando Martí, Kristine Virsis, Favianna Rodriguez, Mary Tremonte, Melanie Cervantes, Melanie Cervantes. The proceeds from the show will go to Let’s Get Free – The Women and Trans Prisoner Defense Committee, specifically in their efforts to pass HB-135, a bill that would expand parole eligibility for lifers. Let’s Get Free is a proud member of the Coalition to Abolish Death By Incarceration. Save the date of Saturday April 22nd – 2pm, for an interfaith panel exploring how local religious institutions have influenced the transformation of society throughout history until the present, from the movement to abolish slavery through prison justice. Marcus Rediker will share stories from his latest book about the Quaker abolitionist Benjamin Lay, who in the early eighteenth century saw the destructive connections among slavery, race, incarceration, and capital punishment. Other panelists are still being confirmed.